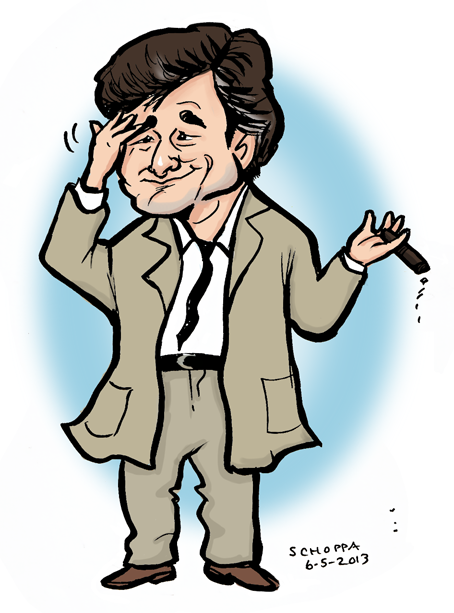 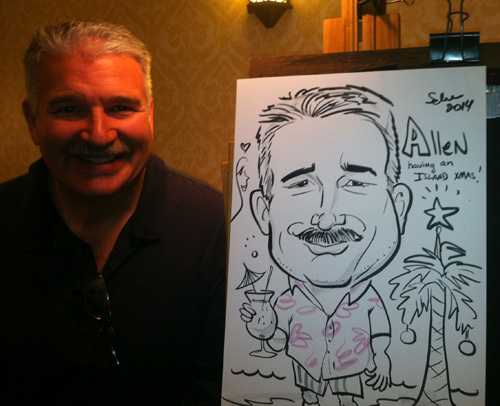 Your source for classic and digital caricatures in the metro D.C. area. 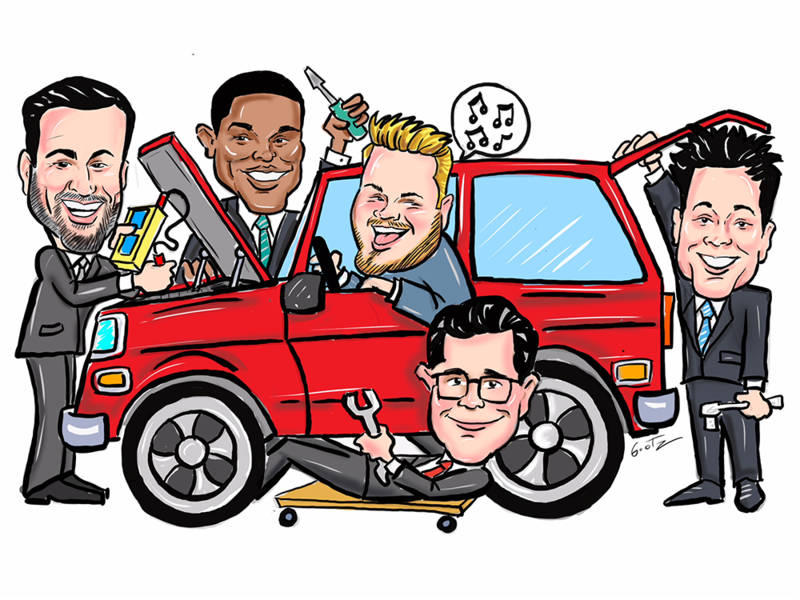 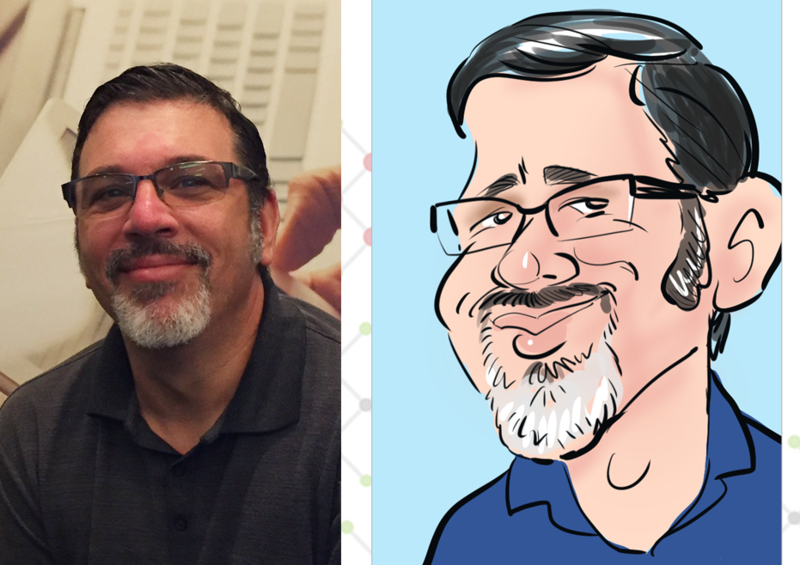 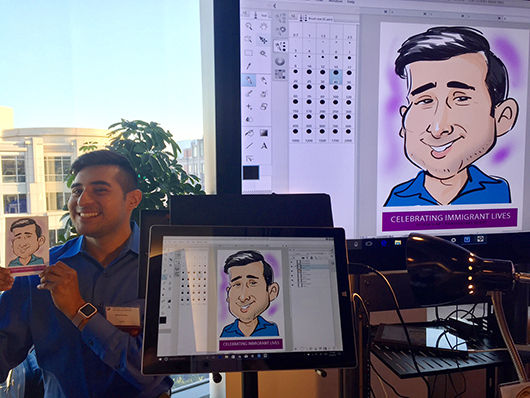 Artists with SKETCHFACESDC draw live event caricatures and live digital caricatures in the Northern Virginia, Southern Maryland, Baltimore, Washington D.C. area and beyond! 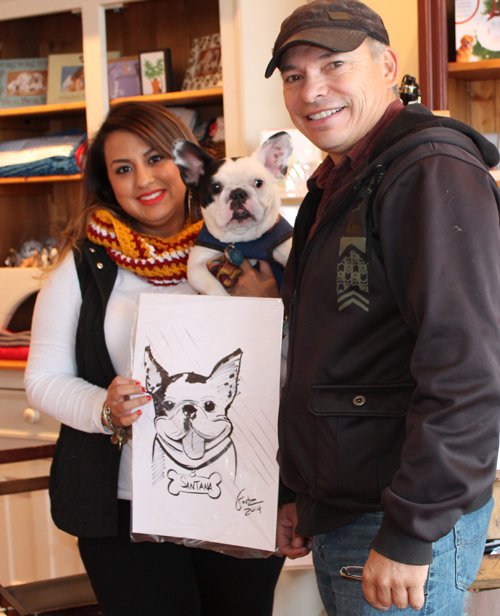 "The artists were great and everyone loved their sketches!" 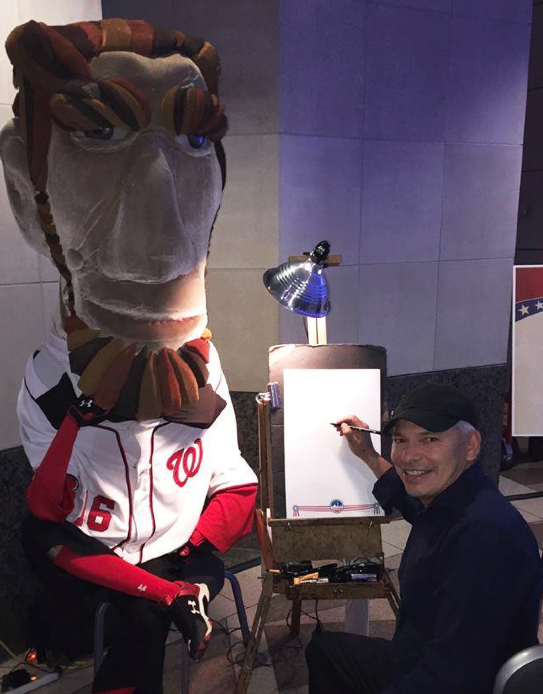 SKETCHFACESDC is a team or artists originally created by two seasoned caricature artists, Mark “Gootz” Gutierrez and Laura Schoppa. 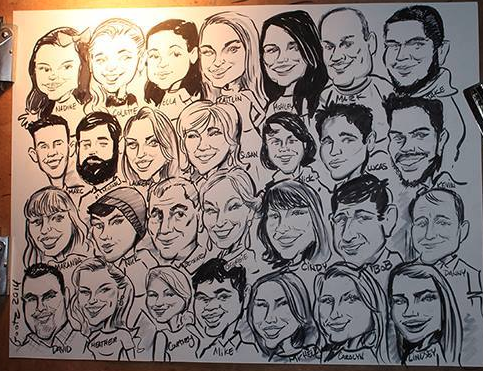 Since then we’ve added a crew of highly experienced artists to our team. 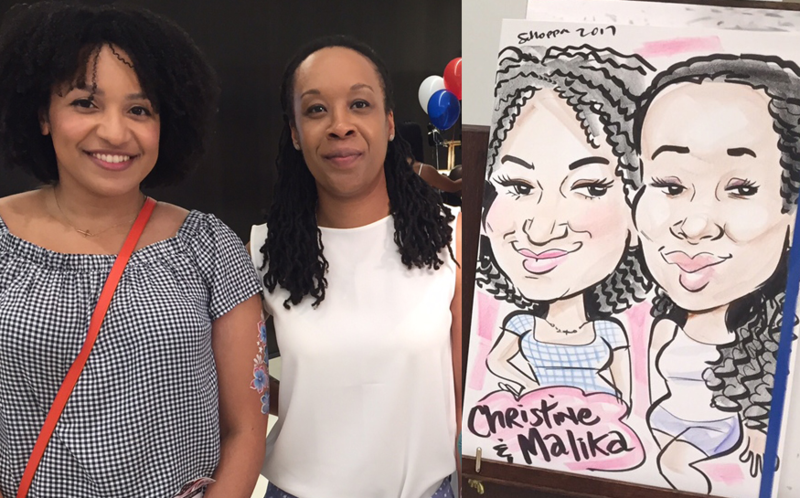 We provide quality caricature entertainment and caricature party favors in Virginia, Maryland, and the Washington DC metro area…and beyond! 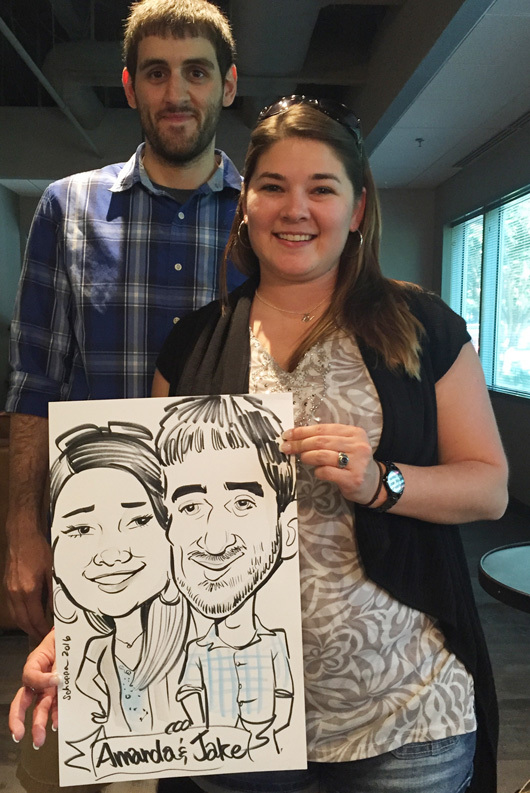 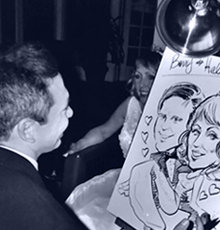 From corporate events and company picnics to birthday parties, wedding receptions and barmitzvahs, Sketchfacesdc provides fast, well-drawn likenesses at events. 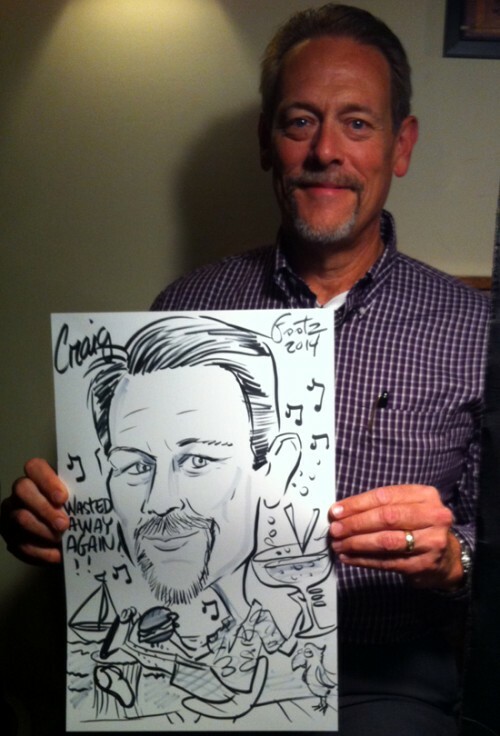 We draw both live classic/traditional caricatures as well as live digital caricatures. 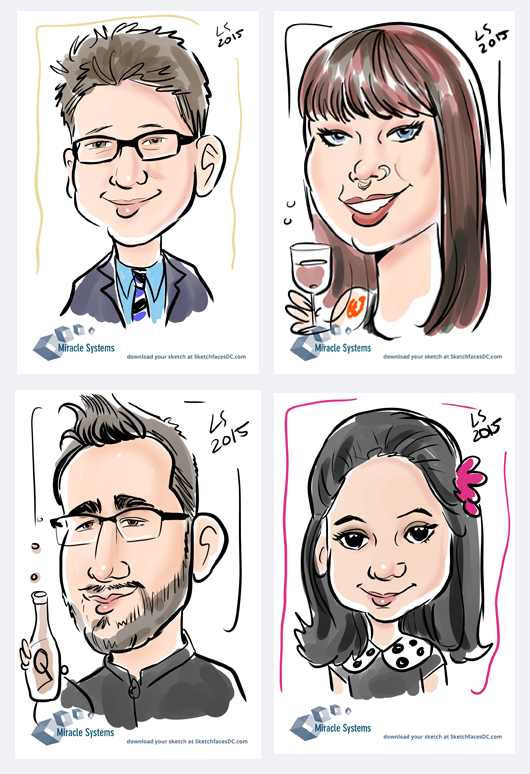 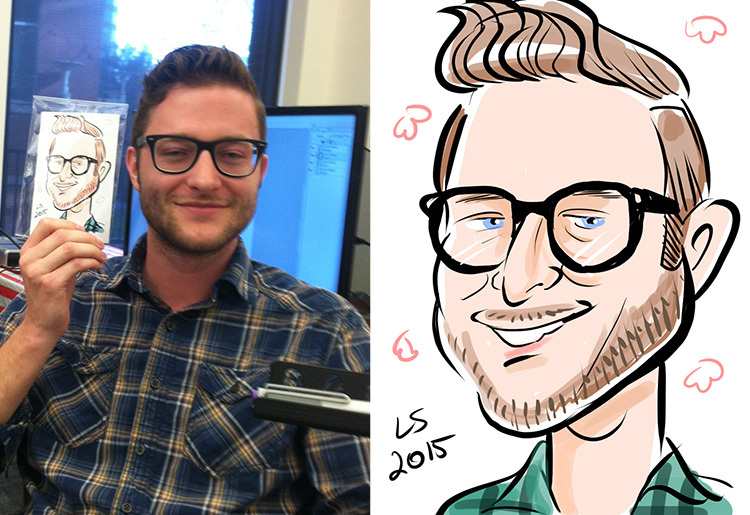 We also draw gift caricatures from photos. 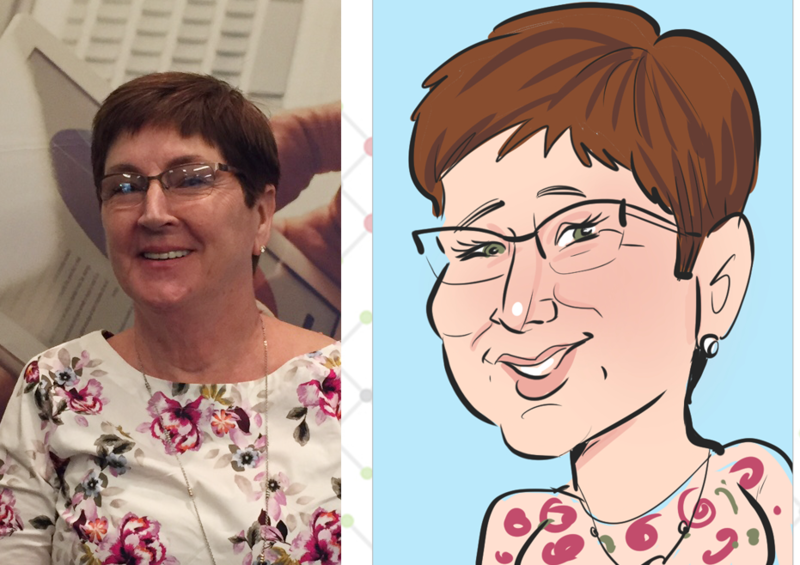 Laura says: “I don’t exaggerate as much as I ‘cartoonify’ my subjects!” Laura has been drawing caricatures for over 20 years. 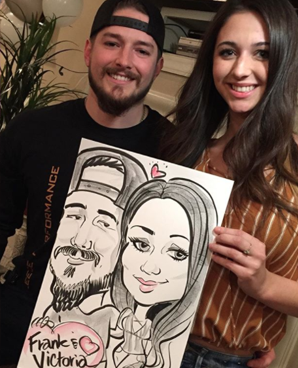 Laura spent her childhood in Japan, California and Texas. 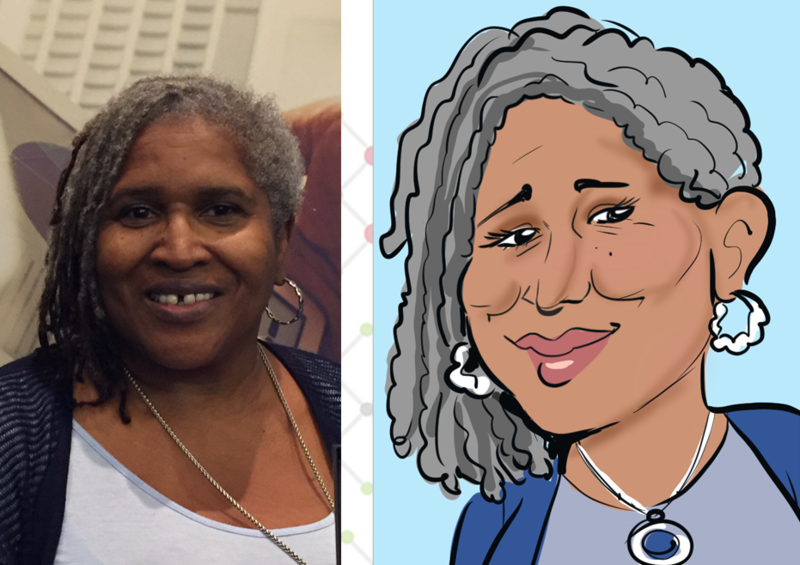 Like Mark, she started drawing as a kid, and some of her biggest inspirations include MAD’s Tom Richmond. 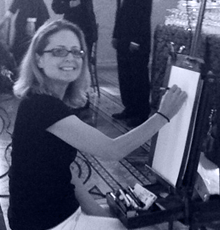 Laura is energized by practicing her craft and strives to continue to evolve as an artist.